Genny kidded with triplets, two doelings and one teeny little wether who sadly did not make it. 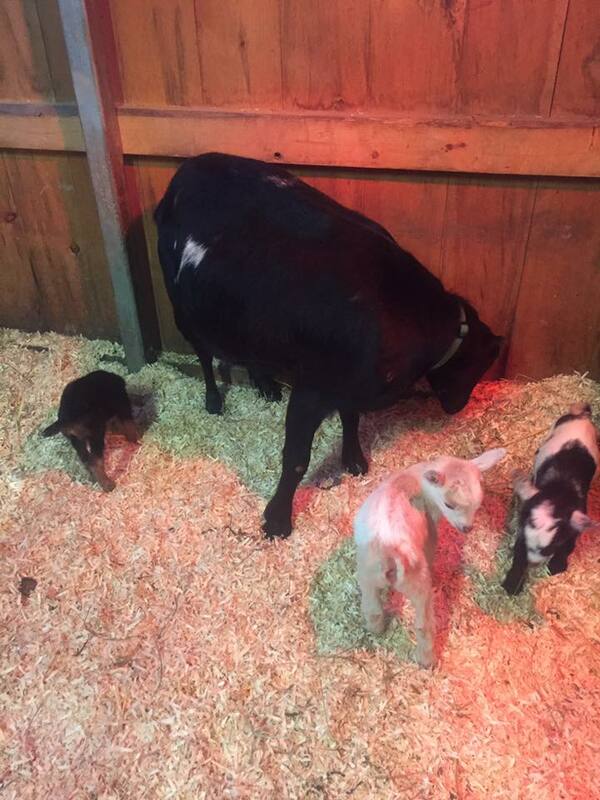 **This is a super sweet little doeling that I have contemplated keeping and if not sold soon may decide to. She is out of incredible milking lines so will make a very nice family milker. Cori: brother to Bandit and equally adorable, blue eyes to boot!